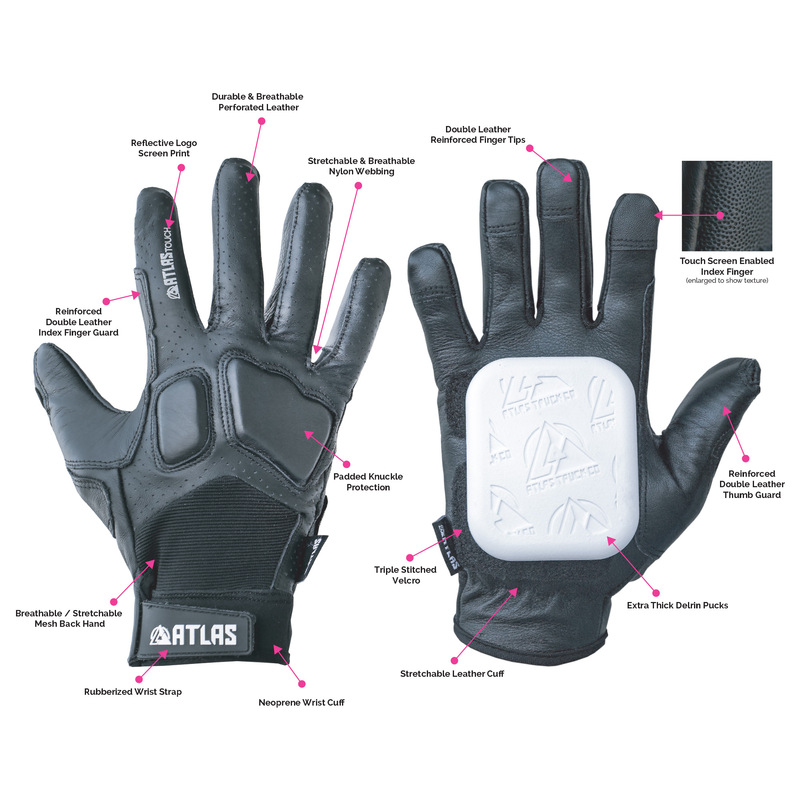 Atlas Touch Slide Gloves (Small Medium Only) | Atlas Truck Co.
Atlas TOUCH technology is the first of its kind in slide gloves. It a enables a longboarder to conveniently use smart phones and other touchscreen electronic devices without removal of his or her gloves. Selfies on the hill, Tinder swipes or Snapchats in motion have never been easier! Constructed with genuine cowhide leather, ribbed spandex backing and breathable finger webbing the Atlas TOUCH Slide Glove is designed for a comfortable and functional fit. 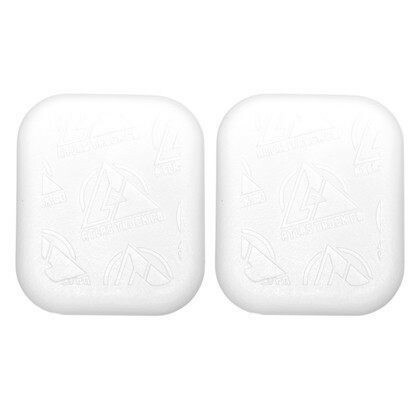 The durable leather is reinforced in high-wear areas and strategically perforated to allow for proper ventilation. Low profile EVA foam knuckle padding provides additional protection without additional bulk. All Atlas TOUCH Slide Gloves come standard with Atlas Slide Pucks. 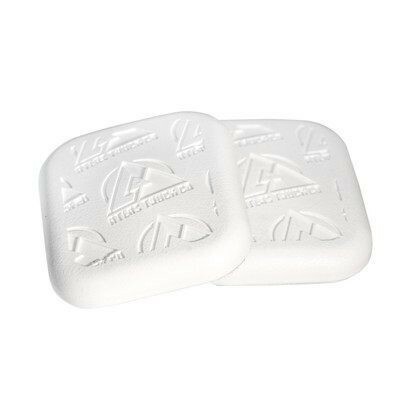 Atlas pucks are domed to prevent snags on pavement and are made with Delrin - an ultra-durable, self-lubricating material ideal for use in slide pucks.